A factional governorship candidate of the All Progressives Grand Alliance (APGA) for the November 18, 2017 election in Anambra State, Dr. Hygers Igwebuike, has said Christian and Muslim leaders are capable of putting a stop to the plundering of the nation’s commonwealth by public office holders. He noted that since Nigerians were known globally as highly religious people, the time has come for the religious leaders to come out in condemnation of their members and get fully involved in taming official corruption. Igwebuike, who spoke yesterday in Lagos when members of the Catholic Laity Association, led by Callistus Okoye, paid him a visit, averred that record had shown that adherents of the two faiths that engaged in unwholesome activities while in public officers were nominal members. He maintained that there was no way a good Christian or Muslim would begin to do things that could hurt the image of his/her faith, adding that religious leaders should help Nigerians in identifying errant faithful. Igwebuike said: “You have come because you have been associating with me. You know me well enough and can say a few things about my level of integrity, commitment and love for humanity. Being conscious of the fact that I belong to a family of believers, when I become the Governor of Anambra State, I would not injure that reputation. Igwebuike noted that as a retired soldier, he has retained the discipline imparted in him by his military training, adding that as a committed Catholic, who was once an altar boy, he constantly guards his image jealously knowing fully well that high standard of morality and social conduct were expected of him. 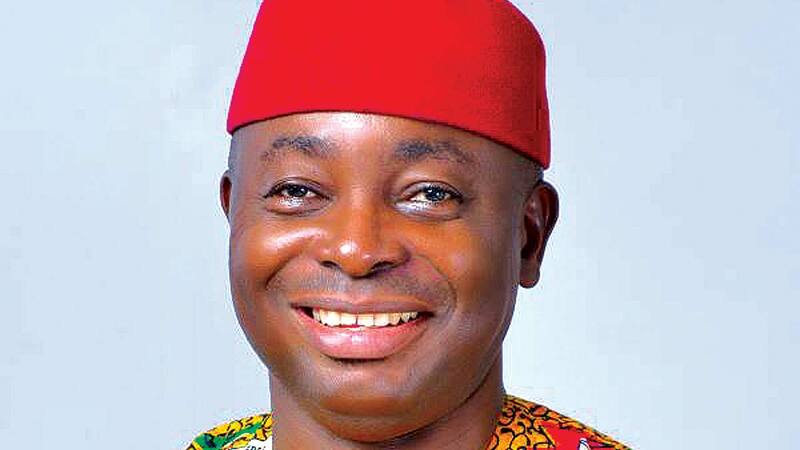 The governorship hopeful assured his visitors that he sees public office as extension of charity work, pointing out that if he had repaired roads like the Nanka axis of Awka-Ekwulobia, Ndikelionwu-Omogho and Ekwulobia-Umunze roads from his private pocket, he would use the office of governor to do more. Okoye reminded Hygers that the venture he has embarked upon was a very challenging one, saying as a body, they were supporting him with prayers.